Similar to our other page types, simply fill in the blanks, select the files you want, and the page is ready! 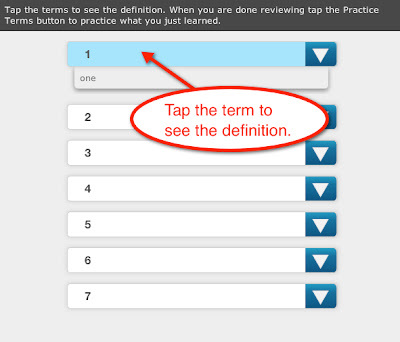 The Definitions Page is two interactions in one: a review and a practice. 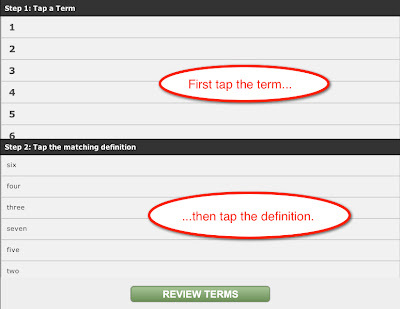 First, learners are able to review terms with their definitions. In the practice portion of the interaction the learners must make matches by tapping the term and then tapping the definition. The new quiz question type allows you to provide your learner with a multiple choice question that has more than one correct answer. ***Note on audio: Audio is unable to be set to play automatically. In the audio step settings, you will see a check box for "Auto Play," but when your learners navigates to the page, they will still have to hit the play button to access the audio.